A week after dismissing the case of a convicted murderer who said he was defamed by the author of a book on the late mob boss Russell Bufalino of Kingston, a federal court reinstated it, saying the fee to hear the appeal had been paid on time. The order, filed June 19 in the 3rd U.S. Circuit Court of Appeals, said the dismissal June 12 was issued in error after Louis Coviello disputed it with confirmation of his $505 payment by credit card a month earlier. Coviello, 60, a football star at Dunmore High in the early 1970s, is serving a life sentence at the State Correctional Institution Mahanoy in Schuylkill County and representing himself. In March 2015, Coviello sued author Matt Birkbeck, the Berkley Publishing Group and the Penguin Group for $1 million, alleging passages in the book, “The Quiet Don,” falsely stated he confessed to killing a witness against a reputed mobster by placing a pillow over his head while he lay in a hospital bed in Scranton. Coviello also denied accounts in the book that he cooperated with authorities investigating alleged mob ties of Dunmore businessman and family friend Louis DeNaples. Coviello added he has been labeled an informant and targeted for attacks from other inmates because of the book. Arguing against the alleged false passages, Coviello provided a declaration last year saying Birkbeck tried to broker a deal that offered freedom in exchange for information about DeNaples. Coviello alleged Birkbeck was acting on behalf of federal and state law enforcement authorities who owed the author for assisting them with their investigations of the Bufalino crime family in Northeastern Pennsylvania. There was a connection between Coviello and DeNaples. After a hung jury trial in 1977, Coviello’s father Joseph and DeNaples pleaded no contest to defrauding the federal government during the cleanup of Tropical Storm Agnes. They received a sentence of probation. 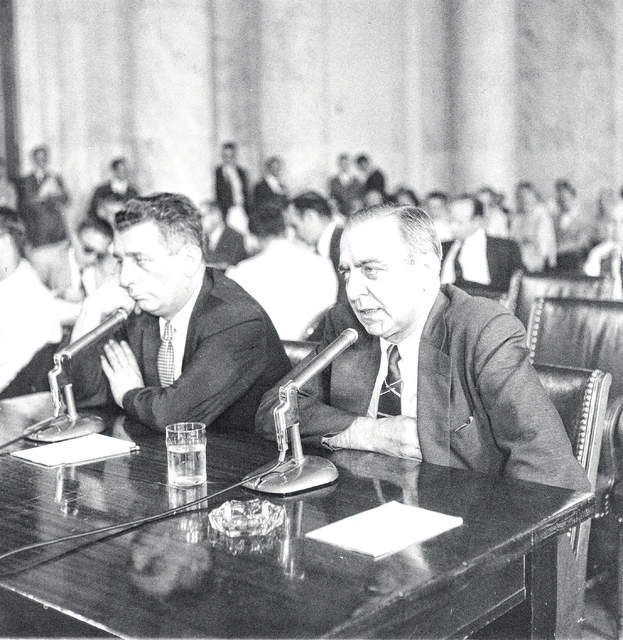 However, four other men, including a member of the Bufalino crime family, were later convicted for their roles in bribing a juror during the trial. But the lower court found no basis for Coviello’s conspiracy allegations. Chief U.S. Magistrate Judge Susan Schwab of Harrisburg recommended that Coviello’s case be dismissed. U.S. District Judge Yvette Kane accepted Schwab’s recommendation and granted the defendants’ request to have the case thrown out. Coviello is in prison for his conviction in the 1978 killing of Dominic Coriniti during a drug deal. While housed at the State Correctional Institution Pittsburgh in 1983, Coviello and another inmate took two corrections officers hostage during a failed escape attempt and released them after approximately six days.